Basingstoke, U.K., 17 november 2016 – Barracuda Networks, Inc. (NYSE: CUDA) – Barracuda provides unified management for any number of firewalls on premises, in distributed or hybrid environments, and in public or private clouds. Barracuda NextGen Firewall full functionality is available for Azure Germany, and includes firewalling, application detection, user awareness, geoblocking, VPN, WAN optimisation, multi-uplink balancing, and traffic shaping, as well as advanced cloud security technologies such as sandboxing and Advanced Threat Detection. All of this functionality can be centrally administered and managed from a single pane of glass, giving customers a powerful, yet easy-to-use solution to keep their networks safe, regardless of how they deploy. Barracuda NextGen Firewall is currently available in version 7.0. Public cloud instances are available for Amazon Web Services, Microsoft Azure, and Azure Germany. Licensing for Azure Germany is available in BYOL (Bring Your Own License) options, which start at 2.999 Euros for a one-year subscription and include an unlimited number of protected IP addresses, VPN connections and virtual networks under Azure. Barracuda (NYSE: CUDA) simplifies IT with cloud-enabled solutions that empower customers to protect their networks, applications, and data, regardless of where they reside. These powerful, easy-to-use and affordable solutions are trusted by more than 150,000 organizations worldwide and are delivered in appliance, virtual appliance, cloud and hybrid deployments. 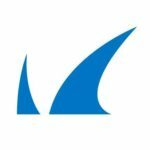 Barracuda’s customer-centric business model focuses on delivering high-value, subscription-based IT solutions that provide end-to-end network and data security. For additional information, please visit barracuda.com<http://barracuda.com>. This press release contains forward-looking statements, including statements regarding the potential benefits, performance, and functionality of Barracuda NextGen Firewall and its operation within Azure Germany. You should not place undue reliance on these forward-looking statements because they involve known and unknown risks, uncertainties and other factors that are, in some cases, beyond the Company’s control and that could cause the Company’s results to differ materially from those expressed or implied by such forward-looking statements. Factors that could materially affect the Company’s business and financial results include, but are not limited to customer response to the Company’s products, as well as those factors set forth in the Company’s filings with the Securities and Exchange Commission. The Company expressly disclaims any intent or obligation to update the forward-looking information to reflect events that occur or circumstances that exist after the date of this press release.